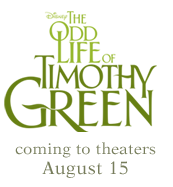 With the Mother's Day holiday approaching this Sunday, celebrate by checking out a clip from the touching new Disney film, The Odd Life of Timothy Green. 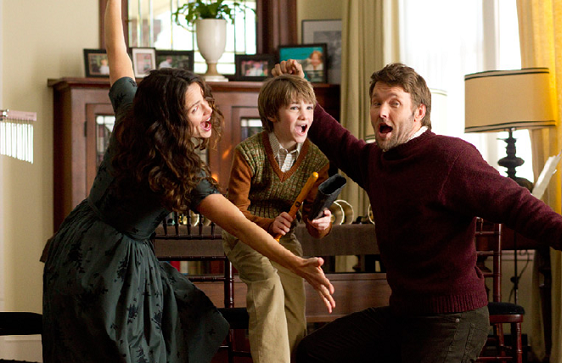 The inspiring storyline of The Odd Life of Timothy Green follows one family's journey and the unlikely way that they came to be. Academy Award®–nominated director/writer Peter Hedges (“Dan in Real Life,” What’s Eating Gilbert Grape?”) brings enchantment to the screen with “The Odd Life of Timothy Green,” an inspiring, magical story about a happily married couple, Cindy and Jim Green (Jennifer Garner and Joel Edgerton), who can’t wait to start a family but can only dream about what their child would be like. When young Timothy (CJ Adams) shows up on their doorstep one stormy night, Cindy and Jim—and their small town of Stanleyville—learn that sometimes the unexpected can bring some of life’s greatest gifts. Head over to http://disney.go.com/the-odd-life-of-timothy-green/activities.html to print your fun (and free) Mother's Day Cards/Activities.